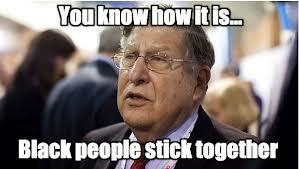 John Sununu, born in Havana, Cuba (let’s see his birth certificate) was George H. W. Bush’s first chief of staff. He is noted for encouraging Bush I to abandon his “no new taxes” pledge and for convincing him to appoint David Souter to the Supreme Court. Souter turned out to be less conservative then they would have liked. Suffice it to say, Sununu was asked to resign from the Bush I team before the end of Bush I’s first and only term in office. So why is this failure acting as a surrogate for Mitt Romney? Because the Romney campaign is a campaign of failures. When you have to lie like nobody’s business in order to gain the White House, you’re a failure. Lucy Madison of CBS News writes the following piece. This entry was posted in Election 2012, Politics, Race on October 26, 2012 by speakingthosethings.